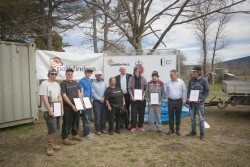 Six young people participated in a welding course held over 6 weeks through Community Colleges – Northern Inland with the assistance of Rod Day from Welding Rod Fabrications. 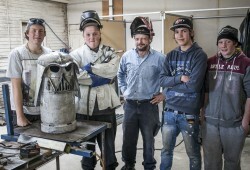 The participants were guided through a number of welding techniques whilst also teaching them the skills to use a number of hand and power tools. This workshop is the result of a continuing partnership between Pathfinders, Community Colleges and Rod Day, designed to assist disengaged youth to gain work experience, skill development and vocational qualifications. The attendees were each awarded a certificate of attainment completing modules which counts toward a Certificate II in Engineering. The result was a camping trailer which will be used for our Open Door camping trips. 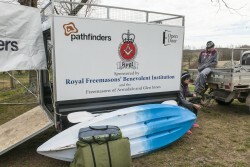 Funding for the project was received from the Royal Freemasons’ Benevolent Institution who have been generously assisting Pathfinders with our work both on this project and with our youth service Open Door. 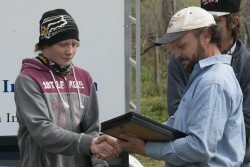 With these funds a standard trailer was purchased, with the guidance and skills of Rod Day the young people designed a camping trailer to suit their needs, and learnt valuable skills in welding and construction. This camping trailer will greatly assist our Open Door program and our young clients who participated in the project.